It is amazing to think just how big this forest is and how many creatures would use this bush as their home. 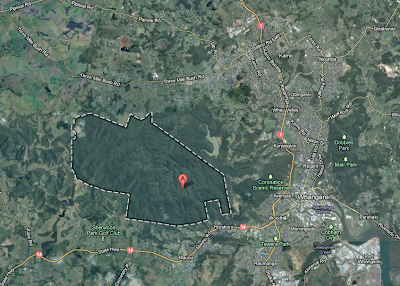 There are 3 massive walks if you start at the Pukenui forest end. The shortest is a 3 hour walk to Barge Park in Maunu. 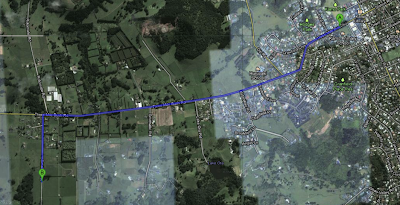 There is a 5 hour walk to the Whau Valley Dam and the longest walk is a 7 hour walk from Pukenui to the Quarry Gardens in Kensington. If you just want to have a shorter stroll you could do the Pukenui Forest loop which takes you on a 1 and a half hour walk through the forest. 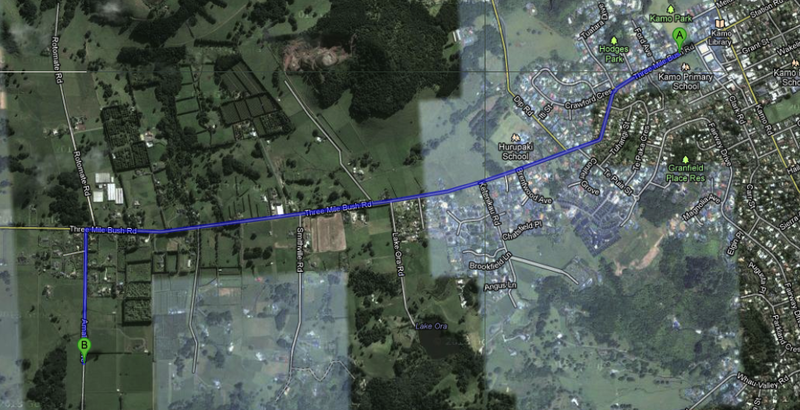 From Kamo Primary to Amalin Drive which leads you to Pukenui Forest. This is the area of Pukenui Forest as seen from above Earth. It's huge.